I have arrived for my second trip to Rio this summer coaching US Virgin islands sailor, Cy Thompson, for what will be his second Olympics. 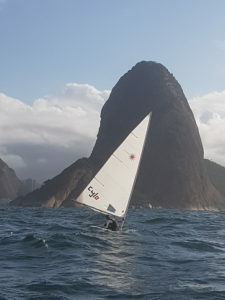 Our previous trip in June was a chance to really learn the 5 courses in rotation for the Laser class sailed during the games. We saw just about every wind condition we can expect, from 0-4 shifty and light to 15+ and big swell outside the bay of Guanabara. When analyzing courses, we must take the schedule, tide chart, and winds into account. During the games we have 5 days of sailing planned with 2 reserve days. 3 days will be raced inside the bay where the currents will affect the courses. The other 2 days will be outside in front of the famous Copacabana beach. Unfortunately, the beach volleyball events will take place on Copacabana, so I doubt anyone will notice the little boats in the distance. The Copacabana course will have less tidal influence and potential for huge swells. The wind tends to have 2 trends: a light seabreeze from the E- SE that follows a morning northerly, or the low pressure fronts from the SW, which tend to be windier and last several days. On the last day of the cold front, the wind comes more from the S.
Polution: Yes there is plenty of pollution, but after 24 days of sailing here, I have seen one occasion where someone had to clear a plastic bag from their centreboard. I typically see 20-50 plastic bottles per day and mostly inside a tide line. Flukey: It is one of the most beautiful bays to sail in. It reminds me of San Francisco, and if it were windier here, it would likely have a very similar condition. However, since it is lighter, and the wind bends a lot more in order to enter the bay or funnels between the valleys between the mountain range surrounding the bay, it tends to be shifty. But it is not the flukey venue people call it. With exception of a few bizarre races, the shifts have some rhythm to them, and a lot of the same rules apply to any lake sailing or inshore venue. Not representing world class: The outside courses are some the best sailing conditions you could imagine, if it is windy. The swells remind me of the Caribbean, but sometimes the wind comes from 45+ degrees off swell direction which makes the upwinds a combination of surfing at full hike to crouched and almost capsize to windward in lulls. But still very high caliber for performance racing. Security: I’ve heard of some petty theft, like all major cities. We take precaution and use common sense. The odds are slim for a negative experience. 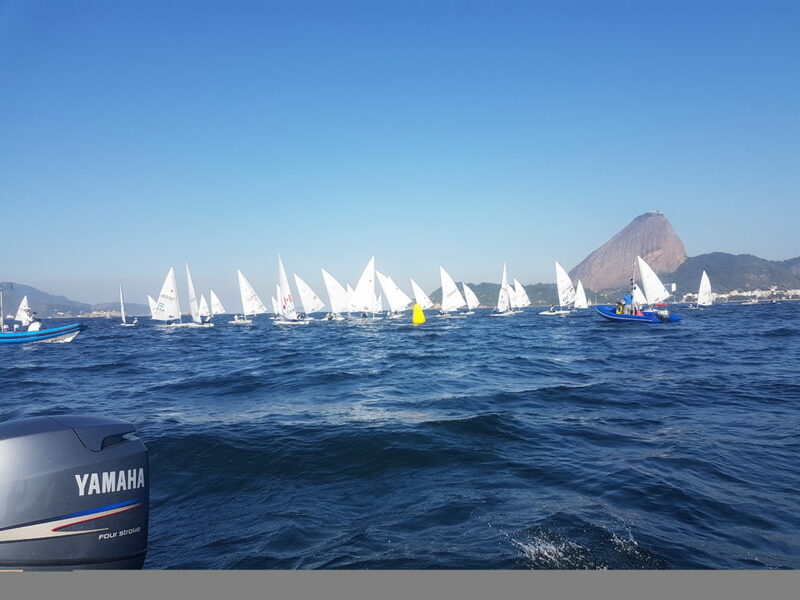 The Marina do Gloria is the venue for sailing, and it is stunning. There are 4 restaurant cafes under a large semi-dome shade structure surrounding the 60+ meters of launch ramp. Rigging will likely be shady and comfortable, close enough to get your caffeine fix. It’s all very exciting, the vibes are good, and everyone is looking forward to racing! When Vaughn isn't coaching sailors at our week long, all-inclusive Laser clinics in Mexico, he continues his work with countless Olympians, youth and masters sailors. He coached at the 2016 Rio Olympic Games and founded ISA in 2008.